USB devices are permitted to withdraw a maximum or 500 milliamps of current from each post. Ideally, users get this error when this limit is exceeded. However, 2 facts are: USB devices are manufactured keeping this limit in mind, if the device was working fine with your system earlier, or works fine with other systems, the issue might not be with the device itself. One good way of isolating the cause would be to try plugging the device to a different USB port and checking if it helps. 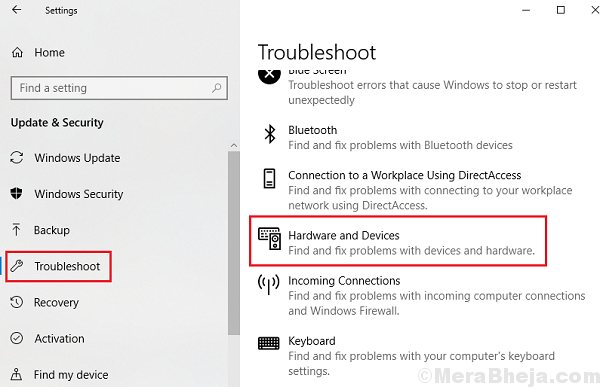 Before proceeding to manual troubleshooting, it would be wise to allow the in-built Hardware and devices troubleshooter to do its job. In case the issue is with the USB drivers, updating them could be helpful in resolving the issue. Here is the procedure to update drivers in Windows 10. Even if temporarily, we could change the Power plan to isolate this issue. 2] Click on Show additional plans if all the Power plans are not listed already. 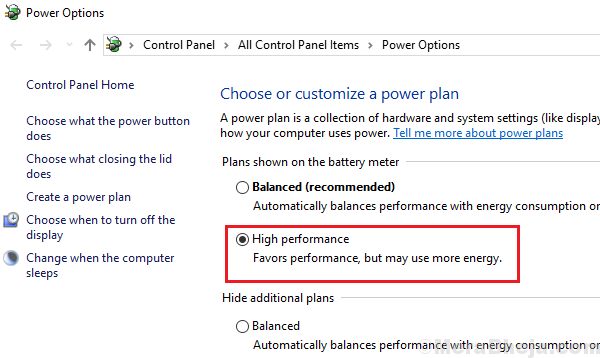 3] Shift the radio button to select the High performance power plan. 4] Check if the USB port is able to work now. If the above mentioned solutions do not work, we could consider a full anti-virus scan for the system. Otherwise, perhaps you might have to use a different slot or change the USB device.